Looking for a delicious, easy and budget friendly meal that your kids will love? 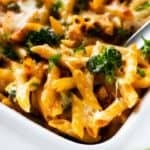 This Chicken Broccoli Penne fits the bill. This is a sponsored post brought to you by Barilla. All opinions are my own. Some things are hard to think about. For me, childhood hunger is one of them. I’ve been blessed to always be able to feed my kids, but that doesn’t mean it isn’t something I’ve never worried about. There was a time after the real estate market crashed and took my husbands business with it when not being able to feed the boys was a deep fear of mine. This was a short season in my life, but it is one I will never forget. It is almost unimaginable that many parents deal with this reality on an ongoing basis. And even more unthinkable that there are kids out there who aren’t able to just be kids because they are dealing with hunger. Every child should be able to just be a kid without worrying about where their next meal was going to come from! 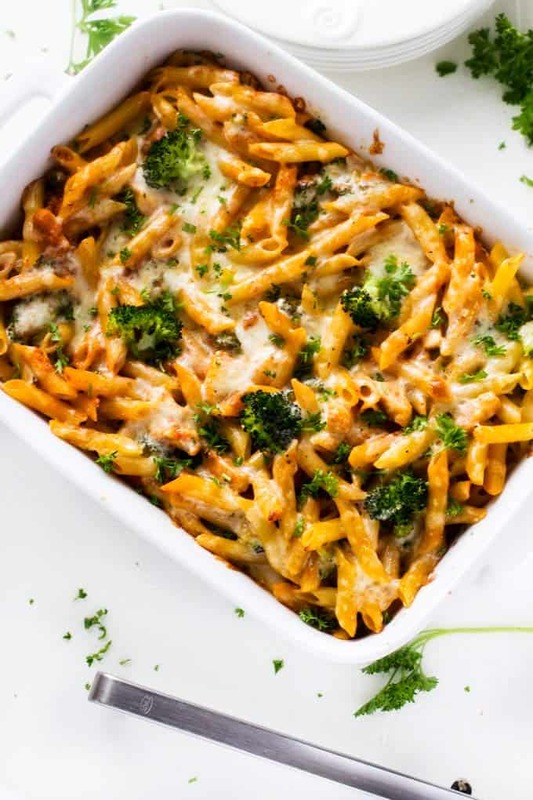 Barilla has teamed up with No Kid Hungry, a national non-profit that works to connect kids in need with nutritious food and teach their families how to cook healthy, affordable meals. No Kid Hungry also works to educate the public about issues to make ending childhood hunger a priority. You can learn more about No Kid Hungry here. I love to see companies whose products I already use and love step up to the plate for such important issues. This is such an easy way we can all work to fight childhood hunger! 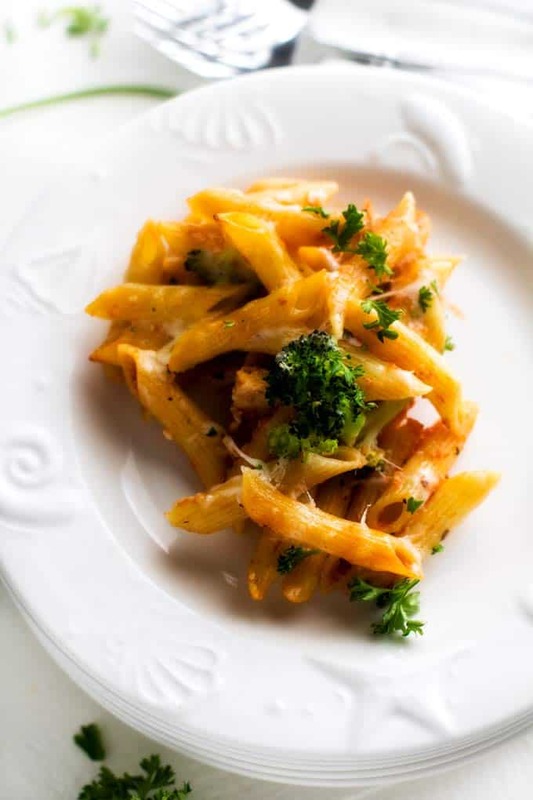 Today’s Chicken Broccoli Penne is made with two Barilla products that our whole family loves. I love how Barilla makes getting a nutritious meal on the table easy and affordable. Barilla Tomato Basil Sauce is made with non-GMO ingredients, which is so important to our family! I love knowing that is made with simple ingredients like vine-ripened tomatoes, herbs, and extra virgin olive oil. There are absolutely no preservatives. 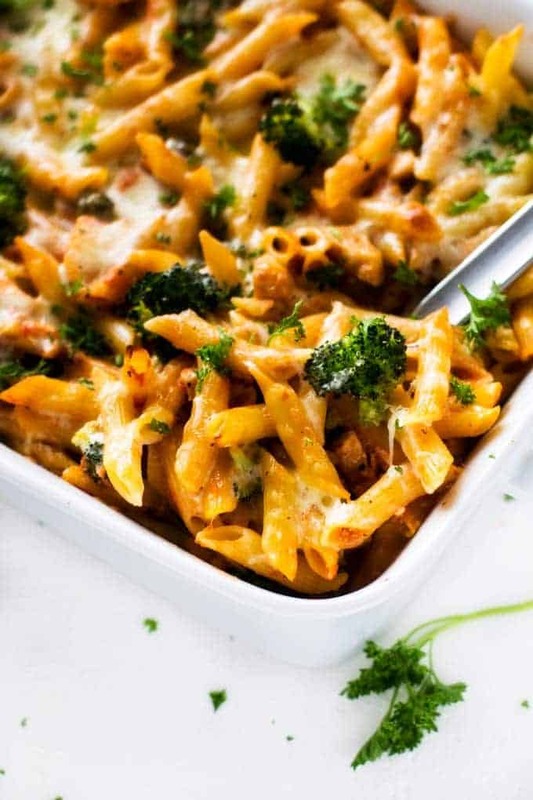 Barilla Tomato Basil pairs perfectly with Barilla Penne to make simple but nutritious dishes like this Chicken Broccoli Penne. Like the sauce, Barilla Penne is non-GMO and made with simple ingredients. It is low glycemic, which helps to keep you fuller longer, and enriched with iron and B vitamins. 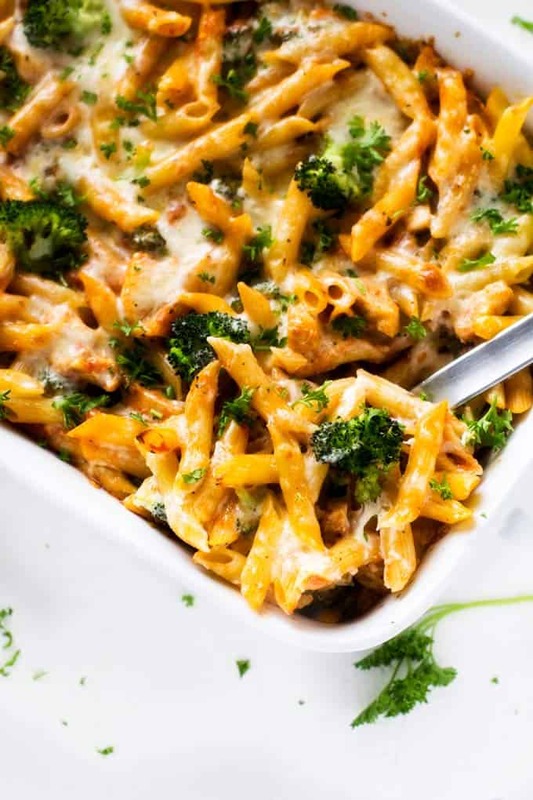 I love how the large diameter and ridges on the penne help the sauce cling to the entire surface in this Chicken Broccoli Penne. Preheat oven to 400 degrees. Spray a baking dish with oil. Cook pasta according to package directions, adding broccoli in the last three minutes. Meanwhile, heat oil in a large skillet. Add chicken and cook, stirring occasionally, for about 8 minutes, until cooked through. Add in marinara and ricotta cheese and cook until heated through about 4 minutes. Stir in pasta and broccoli and toss to combine. 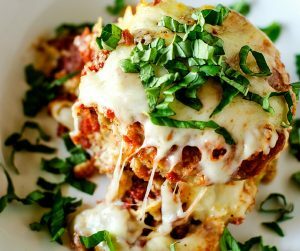 Transfer to prepared dish and top with mozzarella cheese. Cook for 15 minutes, until the cheese is melted and bubbly. Previous Post: « 20 Uses for Tomatoes You Are Going to Love! That looks so good! This is exactly the kind of thing I love to serve on the weekdays. It’s easy, and we can eat it for a couple of days. We love a cheesy chicken and broccoli. No child should go hungry. This is a great program and I’ll be sure to watch for the blue boxes. I’m definitely liking the sound of this. I’ll have to see if my daughter would make this with me when I go to her place! So glad that Barilla is doing this. Childhood hunger is such a common issue, even here in my area of the United States. This sounds great. I may need to make it for the family one night. I know my husband would devour it. The penne sounds amazing, but I am really loving the charitable cause that each box purchased is going towards. Makes me want to run over to Walmart and load up on blue box pasta! I would have gobbled this up as a child. However, my nieces are SO picky so this will be sitting in my back pocket for when they visit. Yum this looks just delicious. love that its kid approved because I know my kids would enjoy something like this so we;ll have to give it a whirl! I would love to help out as much as I can especially when it comes to children in need. It’s good that there are brands that focus on child hunger because it’s very important that we try to lessen the number of hungry children as much as we can. Thanks for the lovely dinner recipe! 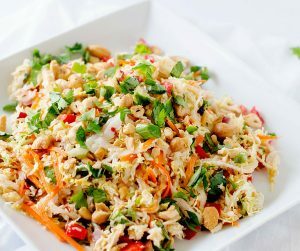 My kids were never picky eaters and I am sure they will love this dish. Why won’t they? 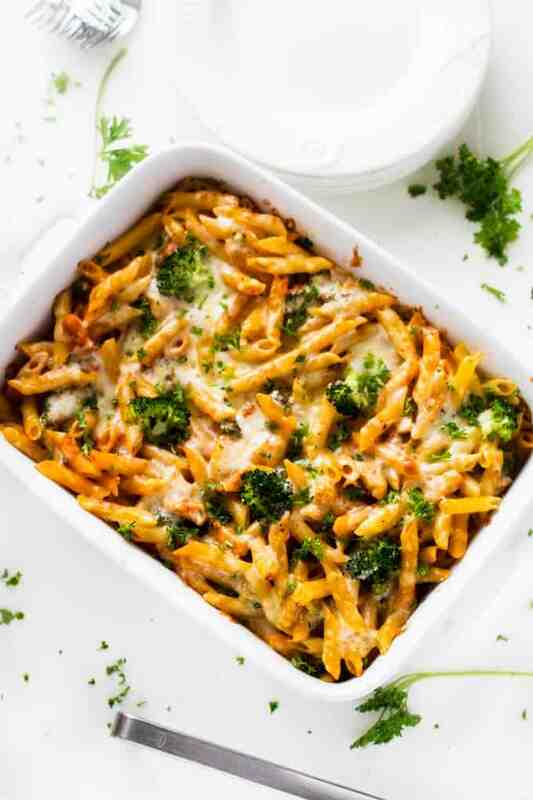 Its pasta, its cheesy, it has chicken and broccoli. Thanks for sharing this recipe. I’m making this tomorrow.